Nazri Aziz has yet to say he has been faithful to his wife and declare he is not the man pictured with an unidentified woman in several compromising position with the woman on top of him. For the honor of your wife and your own respect in the eyes of the nation you represent, prove it is not you and a mistress or a cheap whore. Why so salient? You are usually so out spoken on matters of morality. Hey Narzi, have you seen all the websites, forums and blogs because Malaysians are saying it is you in the pictures. You own people think you are a stupid man for taking pictures. What Nazri, what? Were you young and stupid when you took the pictures because they look like they were taken only a few years ago. Even UMNO party members are talking behind you back and they are not happy. Or look at your Wiki Biography, your honor is in question man. We know where your son gets it from because you are an awesome (sarcastically) Muslim.The first picture show Anak Nazri, Malaysia’s number one drunk and the son of Minister in the Prime Minister’s Department Datuk Seri Mohamed Nazri bin Tan Sri Abdul Aziz with his number one woman. The second and third pictures show Datuk Seri Nazri Aziz himself with his number two or three or number four woman assuming his wife is number one. LOL… Who knows the real ranking of the unidentified woman on top of Nazri Aziz in that bed? He may have hundreds for all we know. She might just be a random whore for all we know. 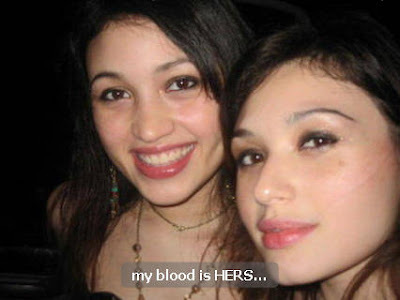 Hopefully he himself is unable to identify her if she is just one of the random prostitute he visited over the years, or she might already be a dead woman. 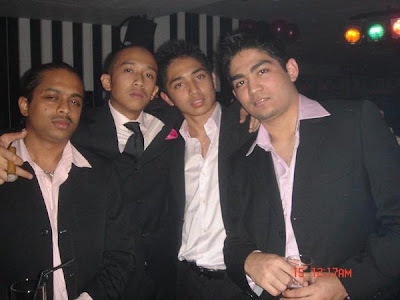 The rest of the pictures show the younger and very lawless Nazri with his many girlfriends, his alcohol and his friends all enjoying the fantastic life of the elites in Malaysia. 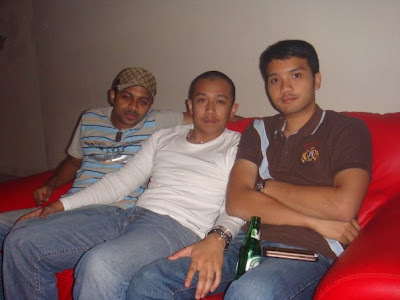 Muslims are not supposed to drink alcohol, so be sure to take note of Anak Nazri with a glass of wine or a can of Heineken in his hand on several different occasions. These pictures would make for great evidence in a Syariah Court. Lets not even mention the lesbian kissing of his girlfriends for his viewing pleasure. The Nazri boy is a corrupting influence on his girls. 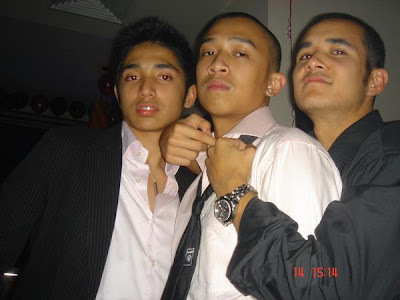 But thisAnak Nazri kid really know how to have fun, but if he is going to live like this he should reconsider his Islamicfaith. Because he is breaking every law Muslim must live by. He seems to be the worse Muslim since Osama bin Laden. Lol, I joke I Joke.